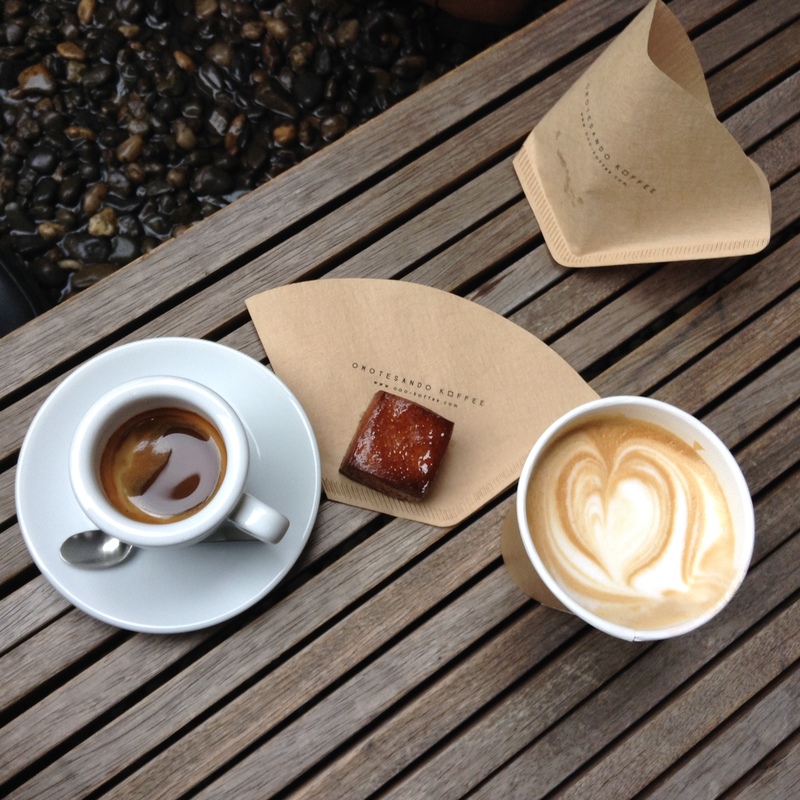 Omotesando Koffee, while known for its good coffee, it is perhaps more famous for its “ko-hi- kashi” or coffee sweet. Kunitomo-san at the shop said it is a baked purin, which is like a creme custard, but that flour is added to the mixture. It has a crispy crust and is soft and eggy inside. Dangerous if you come hungry as one could easily go through several of these. The quality of the coffee is excellent here. My girlfriend’s latte had a nice proportion of milk to espresso. I indulged and got a Bailey’s espresso. The aroma of the Baileys reminded the both of us of our days at Midwestern liberal arts colleges. Amazing how just smelling the Baileys brought back memories from 25 years ago. Next time I will get the Baileys with some milk. The shop card are coffee filters that are also used for serving the ko-hi- kashi. Brilliant. I teased him asking if I could recycle these at home as coffee filters and he said we could. Here is the exterior of the shop. 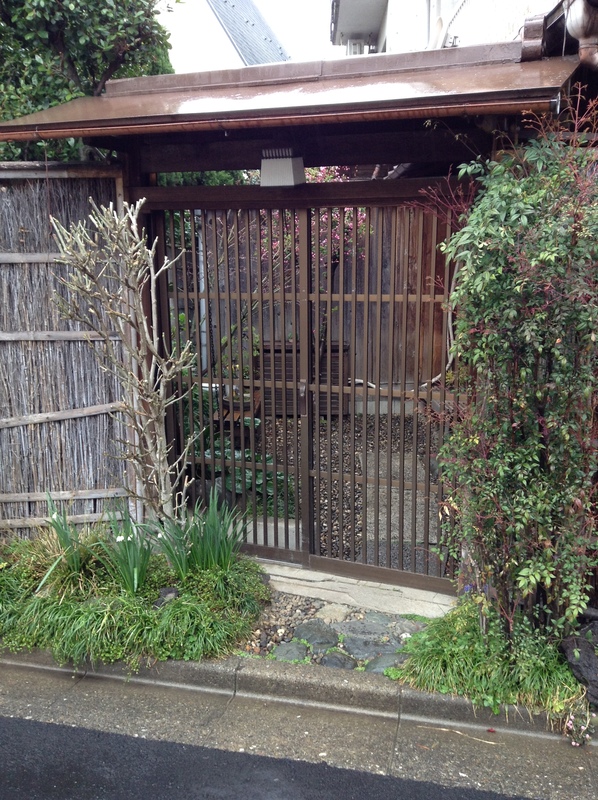 It is on the first floor of a residential home, which could explain why the shop does not open until 10 a.m. We got there a bit early and it was fun to watch the rituals of preparing the small garden in front of the shop before opening the gate. The handsome Kunitomo-san in a light blue lab coat is very friendly. We spoke only in Japanese but on our way out some Americans came in and we could hear him speaking English. It was raining this morning so we stood inside and had our coffee tachi-nomi style. If the weather is good there are two small benches in the narrow garden in front of the shop. But, this is not a place you want to linger for long at. * Omotesando Koffee is right behind Maisen tonkatsu. The perfect spot for a coffee after tonkatsu.